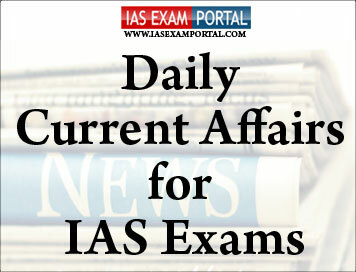 Current Affairs for IAS Exams - 25 JANUARY 2019 | IAS EXAM PORTAL - India's Largest Community for UPSC Exam Aspirants. The Supreme Court on Thursday refused to stay the Scheduled Castes and Scheduled Tribes (Prevention of Atrocities) Amendment Act, 2018, that nullified a judgment that diluted the stringent provisions of the law to protect Dalits. The government brought in the amendments, arguing that the Scheduled Castes and the Scheduled Tribes still faced social stigma, poverty and humiliation. The 2018 Act nullified a March 20 judgment of the court, which allowed anticipatory bail to those booked for committing atrocities against members of these communities. The original 1989 Act bars anticipatory bail. After the verdict, protests broke out, in which several died and property worth crores was destroyed. The government filed a review petition and then amended the 1989 Act. In August, several petitions were filed against the amendments. The lead petitioner, advocatePrithvi Raj Chauhan, even called the amendments a “blunder” and a violation of the fundamental right to equality and personal liberty. But the court refused to stay them. The government responded that there was no decrease in the atrocities on these communities, despite the laws to protect their civil rights, and 195 special courts in 14 States. According to the data from the National Crime Records Bureau, there has been no decrease in the crimes. “The 1989 Act is the least the country owes to this section of society that has been denied several civil rights for generations and subjected to indignities, humiliations and harassment,” the government argued. Concerned over the lack of action pertaining to the compliance of solid waste management across the country, the National Green Tribunal (NGT) has summoned the Chief Secretaries of all States and Union Territories from March 1 onwards. A Bench headed by Justice Adarsh Kumar Goel has directed the Chief Secretaries to be present before the tribunal with status reports of action taken and the subsequent measures to be adopted. “It is high time stern measures are taken not only by those in charge of administering law themselves but also by educating and involving public at large,” the Bench said. The Bench has specified that all Chief Secretaries have to be present and the task cannot be delegated to other officers. Further, all States and union territories have been directed to constitute special task forces in every district, and Information Education and Communication (IEC) programmes have been suggested for public awareness. Indian public funding for research and development (R&D) in neglected diseases increased significantly in 2017, growing by ₹135 crore or 38%, contributing to the strongest global growth since 2009, according to a new report. Worldwide funding for neglected disease R&D in 2017 reached its highest level ever, exceeding $3.5 billion, according to the 11th annual G-FINDER report released in Geneva. At that level, funding was up 7% since 2016, driven primarily by new investments from the U.K., the European Commission, Germany and India. A total of 197 organisations including public funders from nine middle-income countries (Argentina, Brazil, Colombia, Cuba, Egypt, India, Mexico, Thailand and South Africa) participated in the survey leading to the report. The U.S. government retained the top spot as the world’s largest public funder, providing an additional 1.5% ($23 million) for a total of $1.6 billion. The public sector continued to be the most significant funding source for neglected disease research, contributing almost two-thirds of the total. The Indian government increased its contribution by 38% maintaining its position as the fourth-largest public funder globally, and providing the highest reported level of public funding from an LMIC government. Centre firm on implementing FDI guidelines for e-commerce giants. The Commerce and Industry ministry is not in favour of extending the deadline of February 1 for implementing the revised guidelines for e-commerce companies having foreign direct investment, sources said. Both Amazon and Walmart-owned Flipkart had sought extension of the February 1 deadline for complying with the revised norms, stating that they needed more time to understand the details of the framework. On December 26, 2018, the government tightened norms for e-commerce firms and barred online retailers like Flipkart and Amazon from selling products of the companies in which they have stakes. The government also prohibited e-commerce companies from entering into an agreement for exclusive sale of products. As per the revised guidelines, a vendor cannot procure more than 25% of products from group companies of the same marketplace where they intend to sell them. “The ministry has received representations from Amazon and Flipkart for more time. Internal discussions are on. But the ministry is not in favour of extending the deadline,” sources said. Domestic traders body Confederation of All Indian Traders (CAIT) had also urged the commerce ministry not to extend the deadline for implementation of the changes. India and South Africa will update their Strategic Partnership by agreeing on a comprehensive “roadmap” on the way ahead, as well as relaxing visa restrictions, when South African President Cyril Ramaphosa meets with Prime Minister NarendraModi on Friday, officials said here. The Strategic Partnership between India and South Africa, called the Red Fort Declaration, was signed in March 1997 by the then South African President Nelson Mandela and former PM H.D. DeveGowda. Officials said all aspects the partnership would be reviewed and updated with a three-year plan of action on security cooperation, trade and investment, tourism, harnessing the ‘blue economy’, maritime cooperation, agriculture, science and technology projects. “We have MoUs in practically every area with South Africa. We want each of these areas to be taken up in a time-bound manner,” said T.S. Tirumurti Secretary (Economic Relations) in the Ministry of External Affairs, briefing journalists ahead of the visit. The two sides are also expected to explore new defence deals in the backdrop of the lifting of a 13-year old ban on South African defence firm Denel that was barred from doing business in India since 2005. Denel was finally removed from the blacklist in September 2018 after the Central Bureau of Investigation filed a closure report and the Supreme Court subsequently dismissed corruption charges against the company. Venezuelan leader NicolásMaduro prepared to rally his military supporters on Thursday as the U.S. and key allies backed a challenge from his leading rival who declared himself “acting President”. The announcement by Juan Guaido, 35, head of Venezuela’s Opposition-led legislature, came amid a fresh wave of deadly street clashes on Wednesday. He declared himself acting leader of the oil-rich nation, which has lurched into economic chaos and violence under Mr.Maduro. The Socialist government responded by warning that the top military leadership would come out “in support of the constitutional President”, Defence Minister Vladimir Padrino Lopez said. He added the military would show “backing for the sovereignty” of Venezuela. Mr.Maduro’s key ally Russia, meanwhile, denounced Mr.Guaido’s bid as a “usurpation” of power and condemned what it called foreign “interference” in Venezuela. “This is a direct path to lawlessness and bloodshed,” the Russian Foreign Ministry said in a statement. Mr.Maduro’s key financial backer China also weighed in. UN Secretary General Antonio Guterres appealed for dialogue to avoid the political crisis spiralling out of control. “What we hope is that dialogue can be possible, and that we avoid an escalation” he said in Davos. Eighteen research institutions in India are among a group of 50 institutions called the South Asian Nitrogen Hub (SANH) in the United Kingdom and South Asia that have secured £20 million (about Rs. 200 crore) from the U.K. government to assess and study the quantum and impact of “nitrogen pollution” in South Asia. So far, we have focussed on carbon dioxide and its impact on global warming. Nitrous oxide (N2O) is 300 times more potent than carbon dioxide but isn’t as prevalent in the atmosphere. However, this is poised to grow,” said N. Raghuram, Chairman, International Nitrogen Initiative (INI). “In the future, reactive nitrogen pollution will be a matter of significant global discussion and, unlike carbon, India and South Asia cannot wake up at the last minute, realising that it has no updated, scientific assessment of its inventory”, he said. The SANH will study the impacts of the different forms of pollution to form a “coherent picture” of the nitrogen cycle. In particular, it will look at nitrogen in agriculture in eight countries — India, Pakistan, Bangladesh, Nepal, Afghanistan, Sri Lanka, Bhutan and Maldives. Indian Men’s team crushed New Zealand by 8 wickets in the first ODI in Napier today to lead the 5 match series 1-nil. Entering the ODI series following maiden Test and ODI series triumphs in Australia, India signalled their intent with a clinical display. While,SmritiMandhana scored a fine 105 and Jemima Rodrigues remained unbeaten on 81 as the Indian Women's team thrashed New Zealand by nine wickets in the first One-day International at Napier today.